Setting up a course of fences is expensive, but there are several ways you can make it more affordable. It is important to use quality jumps. Flimsy, poorly made fences will lead to injuries and encourage poor jumping form. It is possible to put together a quality course on a limited budget. Used horse jumps are a good way to save money. If you can find a larger barn or show venue that is replacing their fences, it is possible to find a good deal on used jumps. These deals get snapped up quickly, so let friends and fellow riders know you are in the market. Before using used horse jumps check them all carefully and make sure they are in good condition. Replace any damaged poles and check hardware, tightening any screws as necessary. Another excellent way to save money on used jumps is to purchase jumps that are unpainted. Painting is inexpensive but can be labor intensive. Purchasing unpainted jumps and scheduling a painting party at your barn can be a fun way to spend a weekend day while saving a good bit of money. Visit local paint and big box stores to find mismatches of paint and save money there as well. Shipping costs are a big part of the cost of jumps. If you or someone you know is handy, you can save much of the shipping costs by purchasing fences that are partially assembled. The legs on standards and wings take up a good deal of room when fully assembled. Purchasing partially assembled and adding the legs when the product arrives is a good way to save a substantial amount on the cost of shipping. As you can see, there are many ways to save money on the cost of horse show jumps. 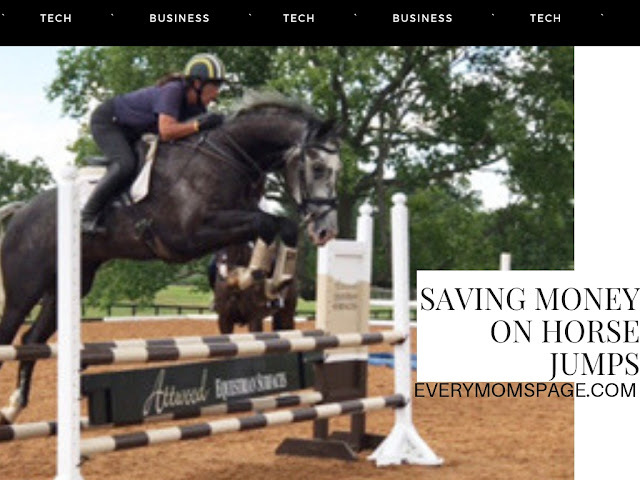 By being creative, looking to see what is available close by, and being willing to invest a little sweat equity in your jumps, you can build an attractive, safe, and fun jumping course.